Moss falling from your house roof on to your car and driveway? Are your gutters always blocked and over flowing due being filled with moss? Our roof cleaning service can help remove moss, algae and lichens from you roof and restore it to a clean and working condition. We use the very best Soft Washing equipment, treatments and techniques to ensure a deep and long lasting clean. 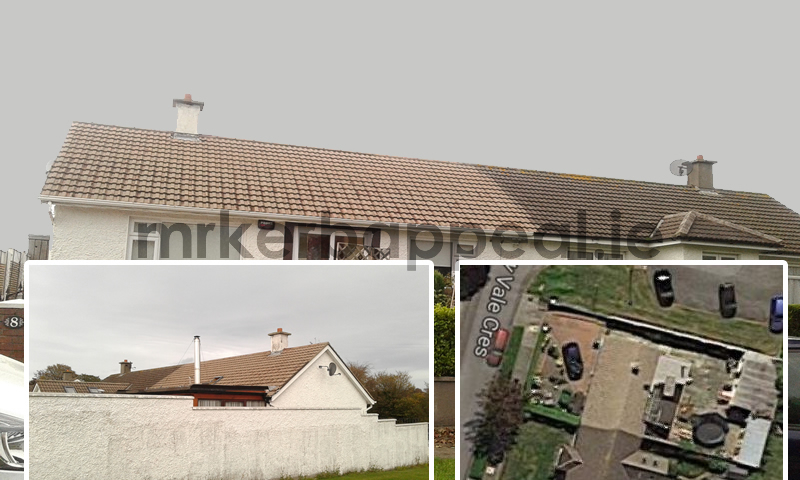 Our roof cleaning biocide treatment removes the need to power wash your roof and is applied at low pressure causing no damage to delicate roof tiles. 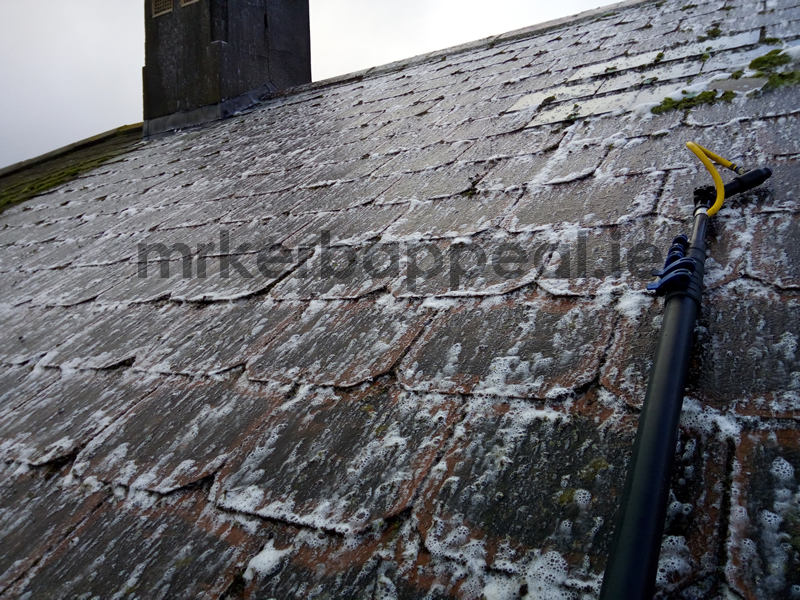 Our team assess the roof to check for broken or missing tiles and to ascertain the best method of cleaning. 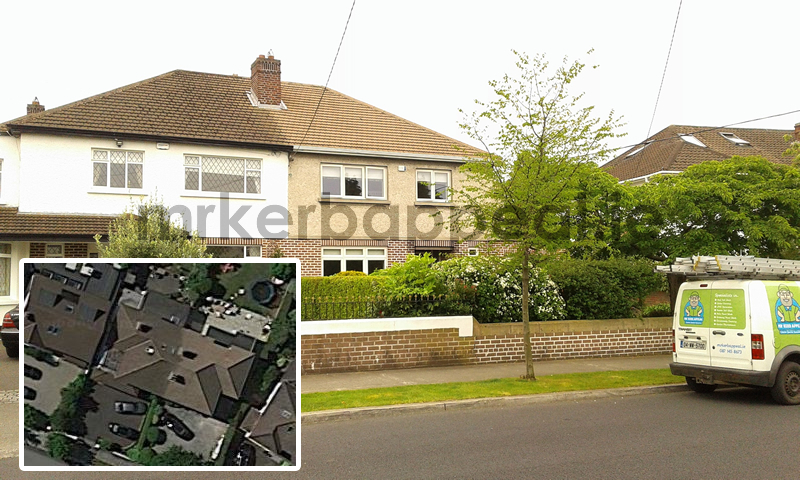 Roof cleaning is either done from roof ladders or preferably from gutter level. Having done all the checks, we now cover or disconnect all down pipes to prevent blockages from falling moss. Tarpaulins are laid below the work area where possible to catch falling moss and debris. 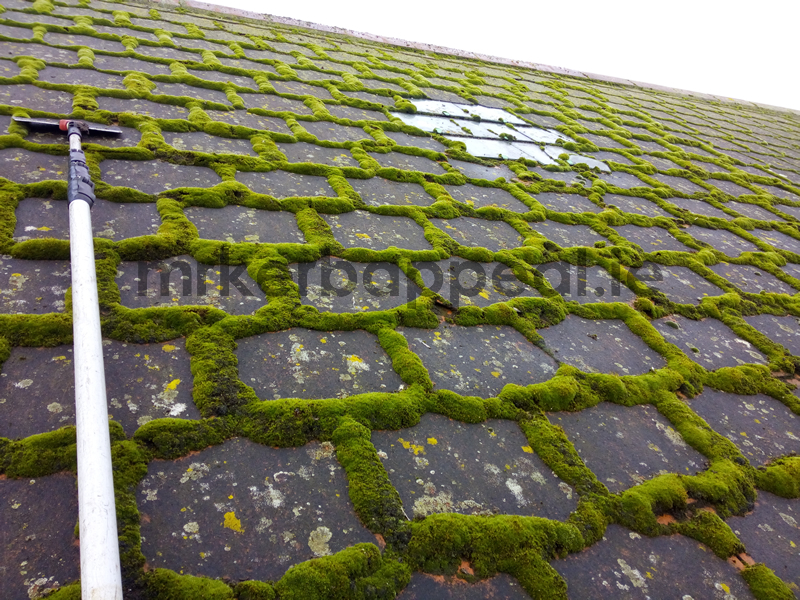 Roof moss is removed from the tiles using a soft scraper and stiff brush. We make sure to clean both the channels and lapse of the tiles to ensure maximum penetration for the cleaning solution. 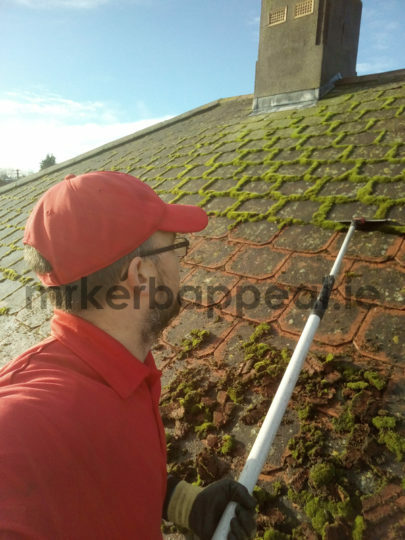 Now that 95% of the moss has been removed, we vacuum all the moss and debris from the gutters using our gutter vac to ensure a clear flow for water. All ground areas are cleared of moss and debris. Our aim is to try and leave the areas around your home how we found them, clean and tidy. Using specialised low pressure soft washing equipment, our formulated roof biowash is sprayed or brushed on to the tiles and ridge until all areas are saturated with the roof cleaning solution. The surfactant in the solution allows it to cling and creep in to hidden areas, allowing for maximum penetration. The roof cleaning cycle now begins. 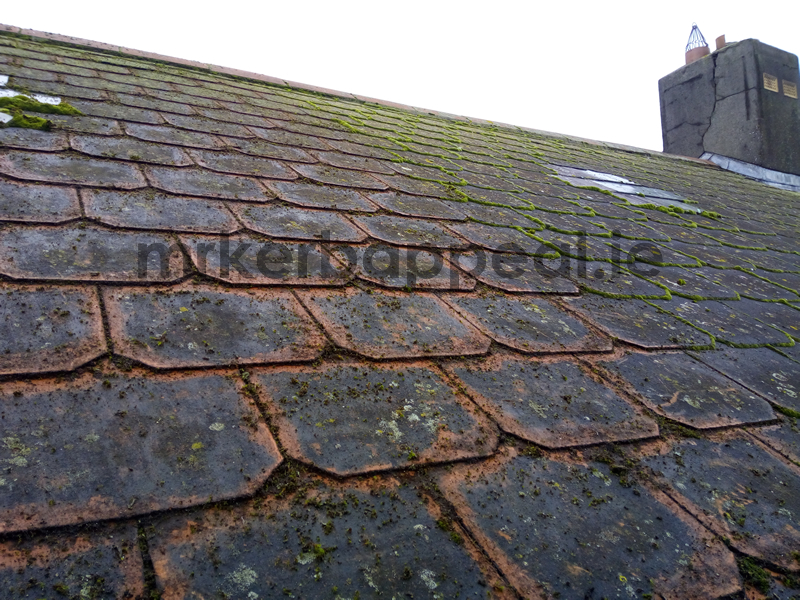 The biocide treatment has sterilised the roof tiles and all the remaining bits of moss, algae and lichen are dead. Over the coming months, rain, sun and wind will naturally remove all traces of biological contaminant from the roof and restore it to a clean condition.